0 | 16 students enrolled. 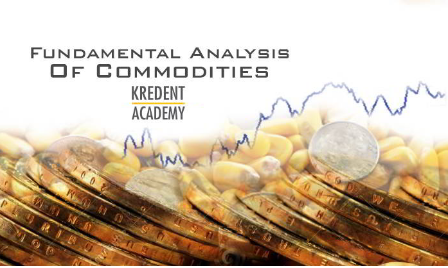 Fundamental Analysis of Commodities online course is a must for anyone who wishes to see him or herself as a professional commodities trader. Unlike other asset classes, commodities market is one such market, where-in one needs to know and understand the fundamental workings of the assets. Demand-supply mechanism, seasonality and government policies have a deeper impact on the workings of the commodity market than any other market. Fundamental commodity analysis is how traders understand the big picture. It is how they maintain a sense of perspective in commodities markets. This programme emphasises on these aspects and lays down a perfect platform for any student in the commodity market. Understand what is commodity analysis, what moves the markets and how one should strategies one’s trading decision. After successful completion of the course, the students will get a "Certificate of Completion"
Common mistakes in Fundamental Analysis to avoid. Once the student successfully clears the examination, the certificate of completition will be genrated.